Honda has developed the new smart key with Hitachi. 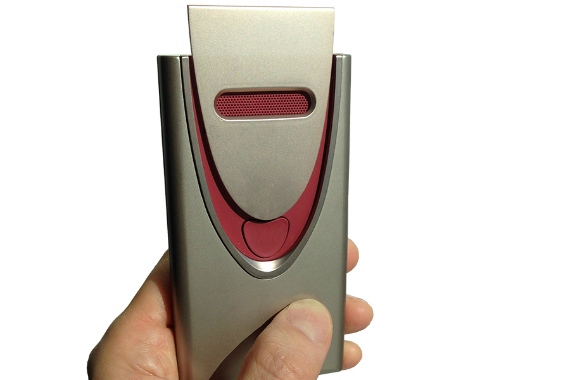 About the size of a smartphone, it can detect alcohol in human breath within three seconds of someone exhaling into it. Should limits be exceeded, the key tells the car’s computer not to start the engine. Together, Honda and Hitachi say they want to prove their system is foolproof and make it commercially available. Is it the shape of things to come for drivers? Last December, Honda gave away thousands of breathalysers, in partnership with AlcoSense, in an attempt to prevent people driving the morning after a big night out. It was prompted by research that suggested nearly 40% of British drivers believed they could be over the drink drive limit the morning after a big night out – yet 26%, or one in four, said they were prepared to take the risk. Honda wants to help prevent this happening, and one potential solution is to fit its cars with breathalysers. 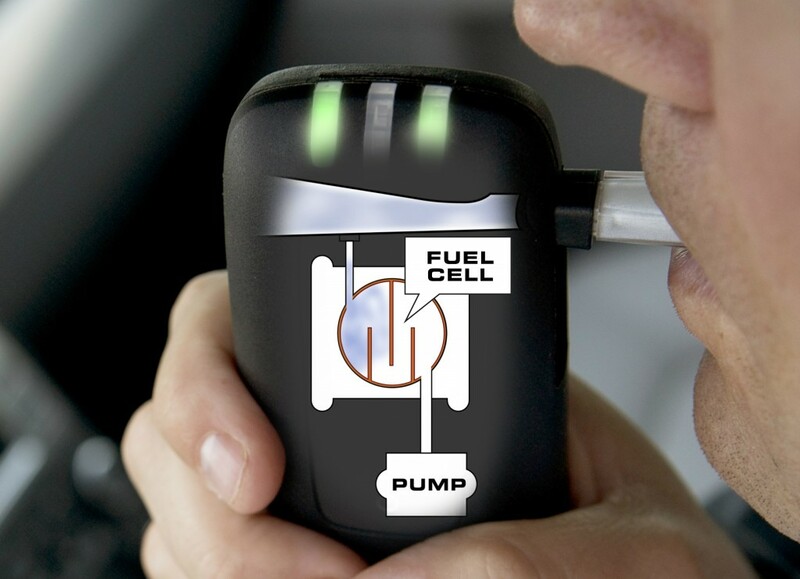 Existing in-car breathalysers typically require the driver to sit in their seat and operate the device before they’ll allow the car’s engine to be started. Honda’s can be used outside the car, as there’s no physical link between the device and the car. Because Honda’s is compact, it’s portable, and can be integrated into the sort of smart key that most modern cars use. It sends the results of any test to the car’s ignition mechanism, effectively only allowing the car to be started if the prescribed threshold is not exceeded. The recorded measurement is displayed on the handheld unit and on the car’s dashboard. Haven’t we seen this sort of thing before? We have. Various third party manufacturers, including AlcoSense and AlcoDigital, have formed partnerships with car makers, or with the operators of company car or HGV fleets, to install breathalysers in vehicles. Volvo offered Alcoguard breathalyser kits as an option on its passenger cars and commercial vehicles, from 2011. Its cost – roughly £1,200 in the UK – deterred most drivers from having it fitted to their car. The unit itself was also a little unwieldy. When will Honda’s breathalyser be available? 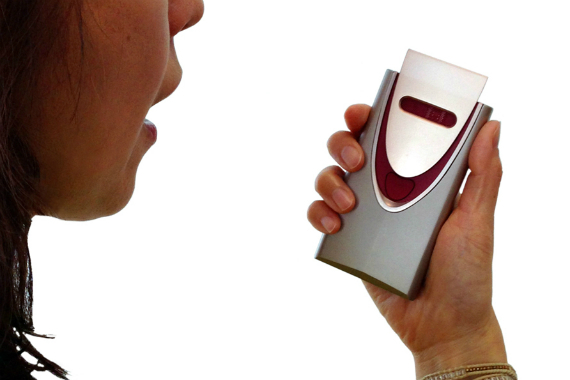 Can I buy a breathalyser to test that I am safe to drive? Yes. There are a wide range available, from as little as £5. But as Auto Express consumer magazine found, not all portable breathalysers give reliable results. So it’s important to do your research and buy a model that’s proven. Will England follow Scotland and impose stricter drink driving limits? In England, Wales and Northern Ireland, the maximum amount of alcohol permitted in a driver’s blood is 80mg/100ml. Last December, Scotland cut the blood alcohol level for drivers to 50mg/100ml, but in England the government has decided against a similar reduction, suggesting enforcement of existing levels is more effective. The Royal Society for the Prevention of Accidents (RoSPA) has called for the blood alcohol level to be reduced. It says Drivers with a level of between 50mg and 80 mg are more than twice as likely to be involved in an accident than drivers with no alcohol, and up to 6 times more likely to be involved in a fatal crash.